With his likeness and book cover emblazoned on a cake, author Andrew Gross joins book club leader Marlene Cohen at Green Brook Country Club. 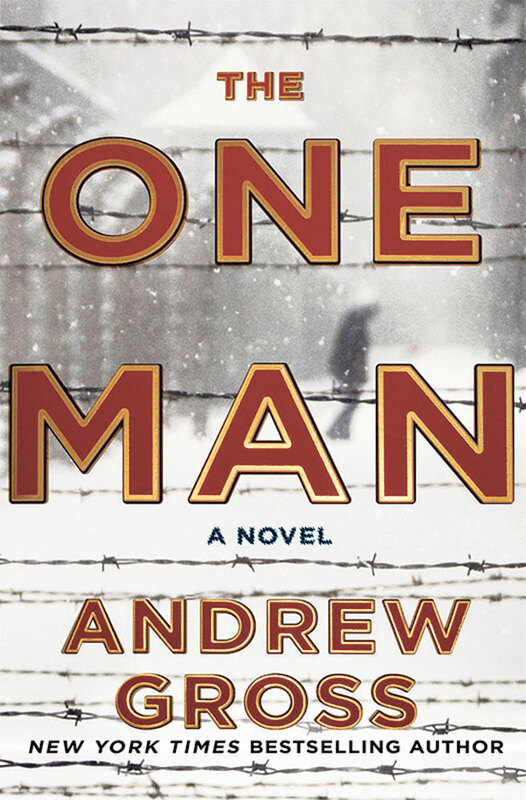 For a writer who has produced a long stream of purely fictional thrillers, writing about Auschwitz presented Andrew Gross with a very different challenge. He says it proved more satisfying than anything he had done before. 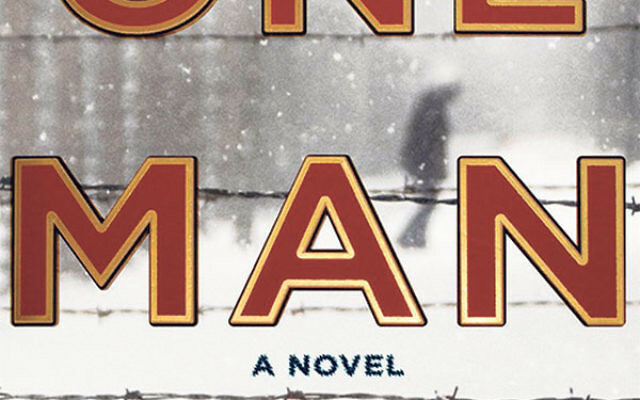 The book, The One Man, was inspired by Gross’s father-in-law, Nate Zorman, a Holocaust survivor whose parents were killed by the Nazis. For the rest of his life, Zorman carried a grief he would never explain to his family. Gross wove that mystery into his story of a survivor who goes back to the war zone with the United States military — as so many did — to attempt to rescue a camp inmate, a physicist with information crucial to the Allies’s effort. The author, who lives in Westchester County, described his own saga to an audience of almost 300 people at the Green Brook Country Club in North Caldwell on Sept. 8. It was the latest in the series of author talks presented by the book club based there. Taking on the Holocaust brought various problems, and they didn’t end with publication. The first on-line commentators accused Gross of using the subject matter for entertainment purposes. He answered indignantly that The One Man is about the experience of the Jewish population, a subject of immense importance to him. His father-in-law died shortly before the book was published, but Gross’s wife, Lynn, read parts of it to him, and he indicated his approval. “Nathan why are you not writing back to us?” she wrote. Gross said his father-in-law certainly had written, and his letters must not have been received. Not only was he unable to save his family from their fate, they died not knowing what had become of him — cause enough for indelible grief. Three years later, with the children in public school and his first book roundly rejected, he got a break: Thriller writer James Patterson was shown his manuscript, and asked if he would like to cowrite with him. “He said I did women well,” Gross recalled. Their joint efforts resulted in five bestsellers, with ever larger co-author bylines for Gross, a steady income, and sharpened writing skills. Finally he went out on his own in 2006, scoring a nine-book publishing deal. His titles have included No Way Back, Everything to Lose, and One Mile Under. People romanticize writing, but mistakenly. “It’s a tough profession and it’s gotten tougher,” Gross said. “Only a handful make good money.” With clear gratitude, he counts himself among that fortunate few — successful enough to have taken the chance on this daunting topic.